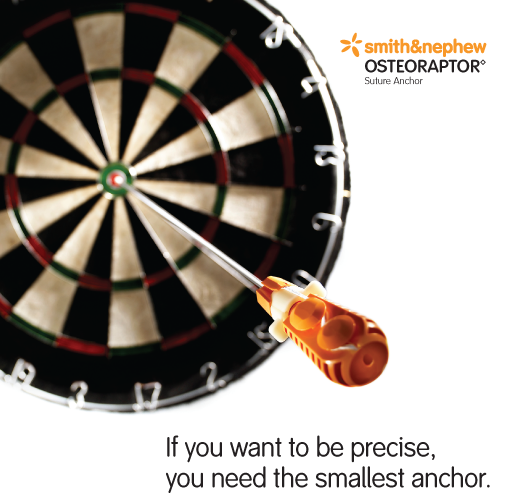 To illustrate precision, Egg came up with the concept of using an anchor applicator as a dart. 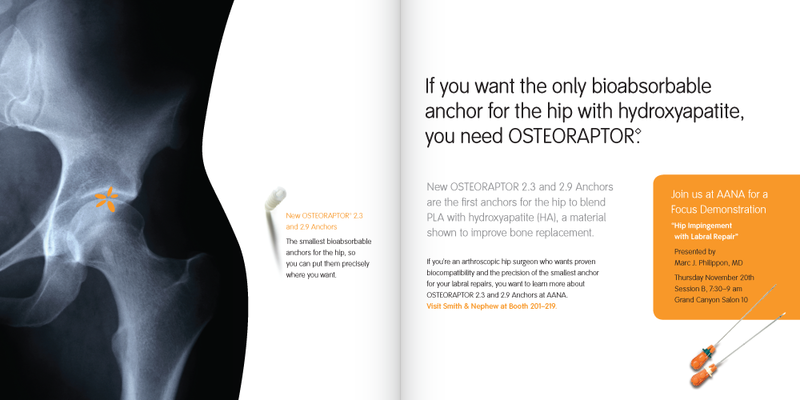 We art directed a photo shoot for Smith& Nephew’s OSTEORAPTOR orthopedic anchor. The image was then applied to direct mail, brochures, and other marketing materials.